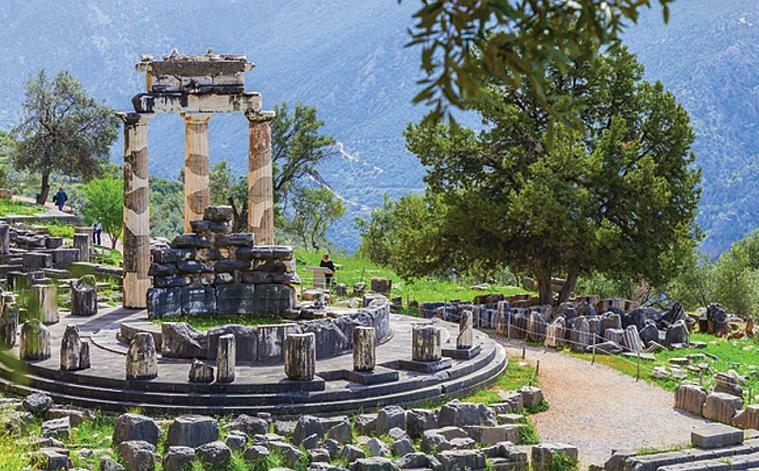 Enjoy a visit to Delphi, navel of the world. 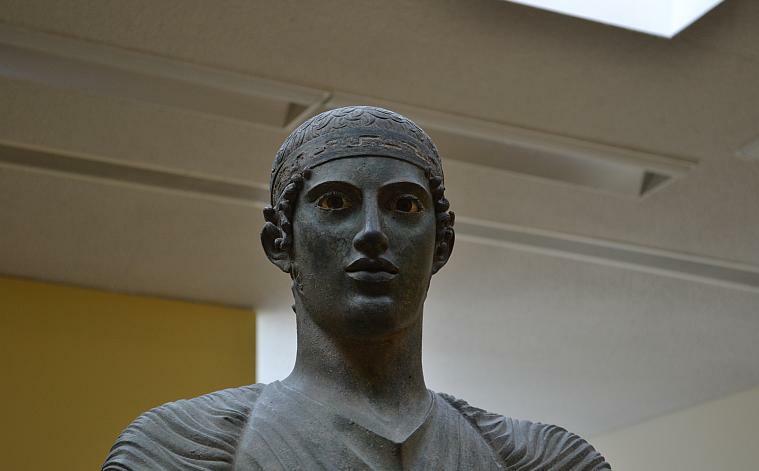 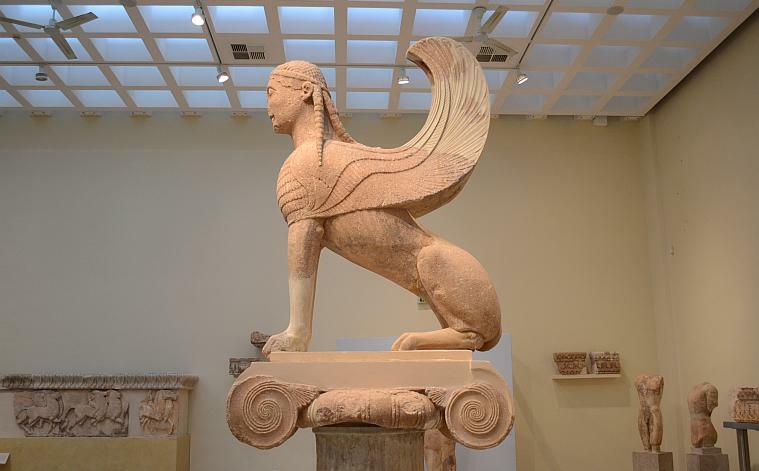 Drive by CASTALIA SPRING, visit the oracle, TEMPLE of APOLLO and the wonderful MUSEUM of Delphi, with amazing bronze Charioteer, the Naxian Sphinx, Statue of Antinoos and much more. 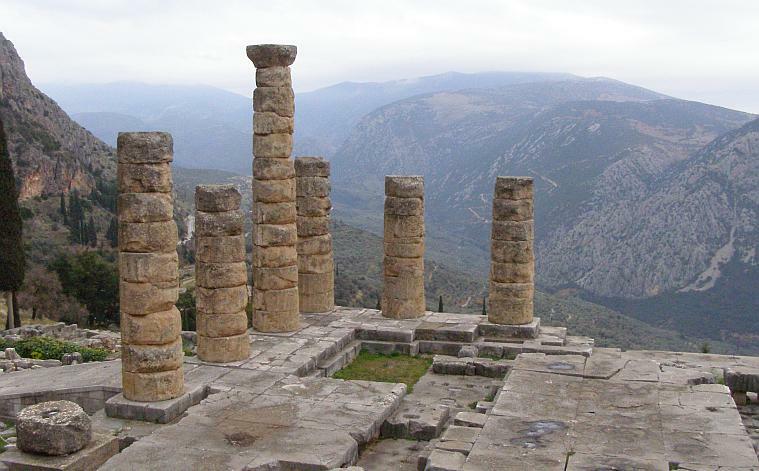 Then we continue to the spectacular new village of Delphi for lunch. 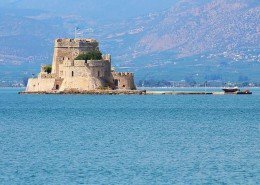 On the way back to Athens short stop at village of ARACHOVA, located at the south slopes of Parnassus mountain, famous for their rugs, quilts and carpet, as well as for local cheese. 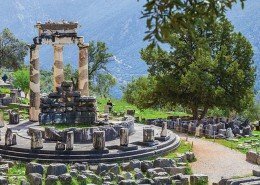 Delphi according the Greek mythologies is the center of the world (navel) where the got of light, music & harmony Apollo use to predict the future! 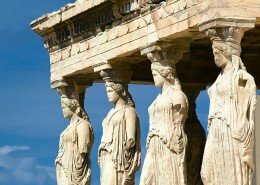 through Pythia, the priestess who sat on a tripod! 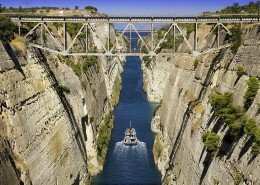 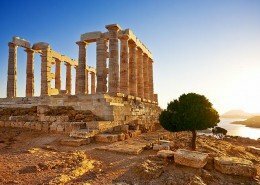 inhaled with ethylene gasses..
Visit the navel of the world, enjoy a wonderful tour through history and civilization to one of the most important sites in Greece!